As a PR consultant for tech startups and a writer for Tech Cocktail, I’m frequently introduced to “the next big thing.” It rarely is. But every once in a while, a company comes along with an idea that is so simple yet brilliant that I kick myself for not thinking of it first. 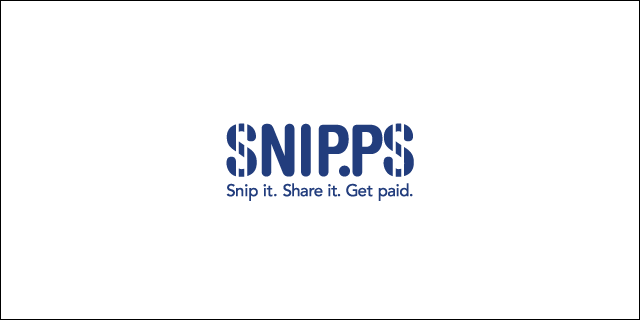 Enter Chicago-based SNIP.PS, a URL shortener that pays you for the links you share. Similar to bit.ly, goo.gl and similar services, SNIP.PS lets users shorten links for posting on blogs, forums and, most often, Twitter. All links shortened through SNIP.PS temporarily redirect to an interstitial full-page advertisement, which disappears after 15 seconds or as soon as the reader clicks through. These types of ads are already popular on sites such as Forbes.com, but SNIP.PS gives the sharer a tiny piece of the online advertising pie by kicking back a small “referral fee” each time the ad is viewed. I tested it out over the course of a week, sharing content via Twitter as I usually would but using SNIP.PS to shorten all links. Payouts ranged from a fraction of a penny to 10 or 11 cents each for more popular links. To power the service, the team at SNIP.PS built a real-time ad bidding platform from the ground up. This platform is used to organize information from SNIP.PS’s half-dozen ad network partners. SNIP.PS also uses its active threat-protection tool to monitor links and alert the reader about any potentially harmful links, a big benefit over its competitors. SNIP.PS offers analytics on links and plans to roll out more detailed metrics, including distinguishing mobile users and browser types, in the near future. Every SNIP.PS short URL is encoded with a personal referral link. If someone joins the site using your link, you’ll receive a 20 percent cut of every dollar they make. Zaretsky is also planning upcoming promotions that reward the most active users. Andrew Cross is a Tech Cocktail contributor and an account director at Walker Sands Communications in Chicago, where he handles PR strategy and media relations for tech companies. He covers tech startups, particularly those based out of the Midwest. Contact Andrew at andrewrcross AT gmail DOT com or on Twitter @Andrew_R_Cross.